The study has been conducted under the direction of Prof. Dr. Burkhard Hess, Prof. Dr. Thomas Pfeiffer (both Heidelberg) and Prof. Dr. Peter Schlosser (Munich) on behalf of the European Commission. The report is based on interviews, statistics and practical research in the files of national courts and includes several recommendations with regard to a future improvement of the Regulation. 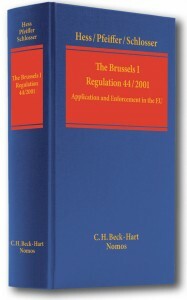 In particular, the report proposes to delete the arbitration exception in Article 1 No. 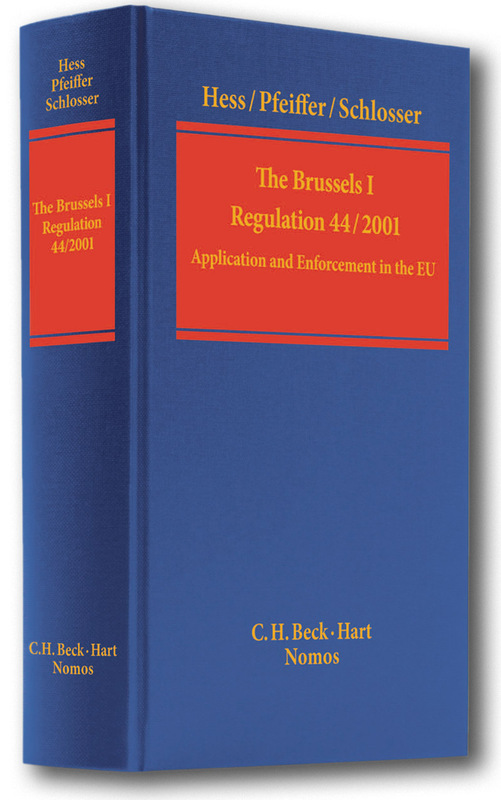 2 (d) in order to bring ancillary proceedings relating to arbitration under the scope of the Brussels I Regulation which will be one of the topics discussed at the forthcoming Conference on Arbitration and EC Law taking place in Heidelberg from 5th to 6th December. More information on the book can be found at the website of Hart Publishing as well as the Beck Verlag. See for more information on this study also our previous posts which can be found here , here and here.